Set in a picturesque location and offering both families and ravers a diverse range of music including folk, jazz, African, dub, and unique collaborations; as well as art, films, poetry, cabaret and gourmet food. The dates for 2009 are confirmed as Friday 7th until Sunday 9th August at the site which has four lakes, thick woods and an arboretum at Eastnor Castle in Herefordshire. The acts confirmed for 2009 include Basement Jaxx, Orbital, and David Byrne, as headliners, with other acts including Gong, Lamb, Magistrates, Alphabeat (DJ Set), DJ Derek, Chris Cunningham, The Ex, Andrew Bird, Noah and the Whale, Emmy The Great, Amadou & Mariam, Hypnotic Brass Ensemble, James Yuill, Kathryn Williams, Joana & The Wolf, Erik Truffaz, Grasscut, Helios, Music From The Penguin Cafe, Oren Marshall, Sneaky, Ska Cubano, Friendly Fires, Norman Jay,Wonky Pop, Ludovico Einaudi, Calexico, Horse Meat Disco, Londstrom, Pharoah Sanders, Favela Chic Soundsystem, Alice Russell, John Hegley, Summer of Dub, and many more. For the line-up details as available please click here. Thursday arrivals have also been invited to come dressed up as zombies to participate in a celluloid chiller, to be produced by Film4 and Warp Film's. They are preparing for the world's first and largest audience participation zombie movie, which will be shot over the four days of the festival. With a plot of dodgy drugs leaked into the water supply that turns peaceful festival-goers into rampaging, flesh-eating undead. There will be festival homecomings Mr Scruff, whose Tea Party will takeover Big Chill Radio, and Tom Middleton who will be performing his One More Tune set. The Coop (a new tent) will be hosted on Friday afternoon by a Wonky Pop session, the evening will have DJ sets from Slam, Optimo and Subculture. Saturday will have Horse Meat Disco and Favela Chic. Sunday has comedy with Dylan Moran, and Russell Howard. There's more comedy in the Underbelly stage in the bigger Big Chill Nights tent. Headlined by Sean Hughes, along with Josie Long, Rob Deering, Ian Stone, Stephen Grant, Trevor Lock, Marcus Birdman, Mitch Benn and Craig Campbell. The 'Vauxhall Art Car Boot Fair' will be at the festival presenting a selection of exciting art works and art wares from some of the UK's foremost artists since 2004. Scamps Theatre's Pinocchio will be performed at The Big Chill 2009. With a Village Green at the heart of festival, Chillers will also be able to play the human fruit machine Yoo Froot, and enjoy a karaoke sing along with the fabulous East End party house, the Bethnal Green Working Men's Club. The Big Chill will also have a contemporary circus from the NoFit State troupe and debauched cabaret with Jonny Woo. Words In Motion will play host to a diverse programme of talks, poetry and late night stories, featuring Lemn Sissay and Ursula Rucker. Popbitch, will be throwing a weekend long 15th birthday party and the Roundhouse Big Round Tent, as well as a Victorian Funfair. Big Chill is promising even more fields this year, meaning more campsites, car parks and better facilities too. The new car park layout promises shorter walks from car to campsites. An adult full weekend ticket is priced at £145, teen tickets (13 to 17 years old) are priced at £60, and kid (12 and under) are £4.  There is also a National Express festival ticket & travel: £165 (only available from National Express). Sunday only tickets are priced at £70. Live-in vehicle tickets are priced at £50 (per vehicle for the weekend), and car park tickets are £7.50 in advance, more on the gate. After the success of 2008, the Roundhouse will be returning to The Big Chill festival. The Roundhouse Big Round Tent will house a full programme of workshops, performances and creative activity. The Big Chill offers spaces for kids, plus art, film, comedy and literature at the festival. On-site facilities include a shop selling groceries & newspapers, bars, food stalls, merchandise stalls, cash point machine and a 24 hour cafe amongst other things. Alcohol cannot be brought into the main arena but is permitted in the camping areas (but NO GLASS!). The venue is a general campsite that has disabled toilets & showers, please contact Big Chill HQ before the event for more information. No fires or foil BBQs are permitted on site, although BBQs on legs are allowed. No pets allowed. No video cameras allowed. No amped music or sound systems allowed. More details will be here when available.